Auto accidents are among the leading causes of unintentional injuries in Texas. According to information provided by the Texas Department of Transportation (TXDoT), 265,076 people were hurt in motor vehicle accidents in the state in 2016. Many of these accidents were incredibly serious, with more than 17,000 people suffering debilitating, long-term injuries and 3,700 people being killed in traffic collisions. Injured car accident victims are entitled to full and fair financial compensation for their losses. While victims can file a lawsuit to seek compensation, the overwhelming majority of Texas auto accident injury claims are settled prior to any formal litigation. As a car accident victim, you need to be able to get a settlement offer that provides full coverage for your medical bills and fair financial support for your family. Unfortunately, insurance companies are not in the business of helping victims get the full payment that they are owed. Insurers work aggressively to try to limit settlement offers. Before settling your claim, you need to know its value. This raises an important question: What is your Texas auto accident claim worth? To maximize your settlement offer, you need to know how to value and present it in an effective manner. In this post, our Houston car accident lawyers explain the most important things that you need to know about Texas car accident settlement amounts. Under Texas law, auto accident victims are generally entitled to compensation that is equal to the value of their damages. For this reason, there is no true ‘average’ or ‘standard’ car accident settlement amount. All car accident claims must be viewed on an individualized basis. Two rollover accidents that may appear to be equally devastating could result in wholly different settlement amounts. A comprehensive, fact intensive analysis of each accident is required. Car accident victims can seek compensation for both direct monetary losses and for any intangible damages. In a Texas car accident case, you may be able to get financial relief for the full cost of your medical bills, any physical therapy or rehabilitative care, lost wages and diminished earning power, long-term disability, pain and suffering, emotional distress, disfigurement, and the wrongful death of a family member. To maximize your Texas auto accident settlement, you must thoroughly document your losses. Insurance companies will look for any way that they can find to reduce the value of your settlement award. If you cannot provide evidence and documentation that supports your claim, you will not be able to get the full money that you rightfully deserve. One of the biggest mistakes that car accident victims make is not focusing on preparing and presenting proof of their damages. This mistake can cost you thousands of dollars. Our Houston car accident lawyers have deep experience handling Texas personal injury claims. We are committed to helping victims maximize their settlement amount. 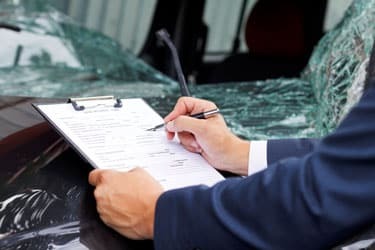 When considering car accident settlement amounts in Texas, one of the most important things that you need to know is that a finding of partial fault will reduce the value of your settlement, perhaps substantially so. This is because Texas is a comparative negligence state. When two or more parties share the fault for the same Texas traffic collision, the financial liability will be divided in accordance with each party’s percentage of the blame. As an example, consider a hypothetical case in which you were injured in a very serious three car accident that happened Interstate-10 in East Texas. In all, you sustained $50,000 in total damages. You incurred significant medical bills, you were forced to miss time at work, and you experienced considerable pain and suffering. In this case, you would be entitled to a car accident settlement worth $50,000. However, that is only true if you were not at fault for the crash. If an investigation determines that you actually were to blame for 30 percent of the crash, your settlement offer will be reduced by a corresponding 30 percent. Instead, of recovering the full $50,000, you may only be offered $35,000, with 30 percent of your total damages, or $15,000, being deemed your responsibility. Car accident victims must take care to ensure that they are not unfairly assigned blame for their own collision. Unfortunately, many insurance companies will try to push blame on the victim as a settlement tactic. The strategy is relatively simple: get you to accept some of the blame, and then reduce your settlement amount as a result of that finding. Do not let this tactic work on you. Being unfairly blamed for your Texas car accident could take a lot of money out of your settlement. Insurance adjusters are trained professionals. They are hired to represent the financial interests of the insurance company that is defending your claim. You cannot and should not rely on an insurance adjuster for advice. If they can get away with it, they will try to settle your Texas car accident claim for the smallest amount possible. It is not advised that you go up against the insurance company on your own. You should get an experienced Texas car accident lawyer by your side as early on in the claims process as possible. Your lawyer will be able to handle all correspondence and interactions will the insurance company, carefully building and presenting your claim and negotiating a maximize settlement offer for you. If the insurance company refuses to act in good faith and pay you the amount you are entitled to receive, your attorney will be able to file a lawsuit. At Sutliff & Stout, our Houston motor vehicle accident lawyers have helped many people recover the full financial compensation that they deserve. If you were injured in an auto accident in Texas, please contact us today for a free, no strings attached case evaluation. We will help you maximize your settlement offer. From our offices in Houston, Austin, and Marble Falls, our law firm serves communities throughout the region.